Ya know... today I was planning on discussing part five of a certain 1988 event miniseries... but, I came to the conclusion that perhaps a day or two away from that might do my reviews some good. We'll get back to Millennium in due time. For today, however... we're gonna check out something a bit more recent. We open with Jon Kent playing with Krypto in the field. He meets up with Kathy and the two engage in a race. At the same time, his father... the Man of Steel flies overhead. Clark lands at the farm, and checks in on his family members. He leans forward taking in the sights. 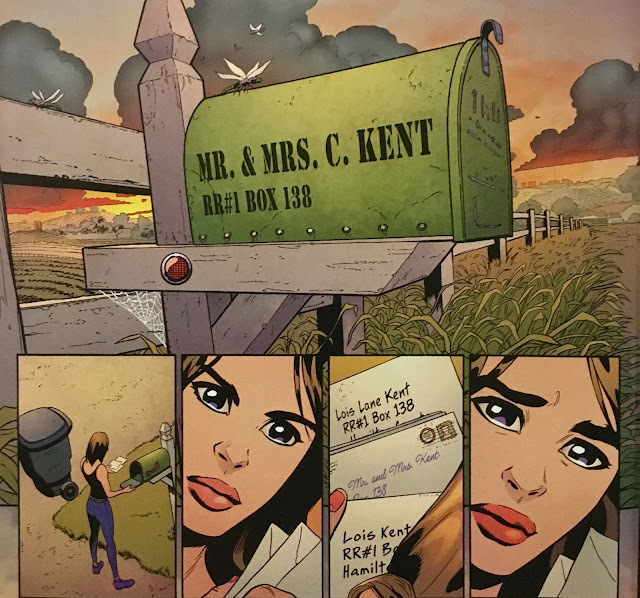 Meanwhile, Lois is checking the mail... and their mailbox reads "Mr. & Mrs. C. Kent"... so, we're finally where we need to be. Mr. Cobb from the next farm over rolls up and warns her that there's a storm a'brewin'. Later, we check in with the Kents as they take shelter in the basement... playing pool to pass the time. The storm passes and Jon is sent to bed. After "lights out", he peers out the window and sees the familiar scene of his father heading outside in costume. He decides to see what's up. Looks like the barn has an infestation... of bats. Bruce is there to talk about something quite important with Clark, however, their conversation is interrupted by Lois, who'd rather they chat in the warmth of the kitchen rather than the barn. 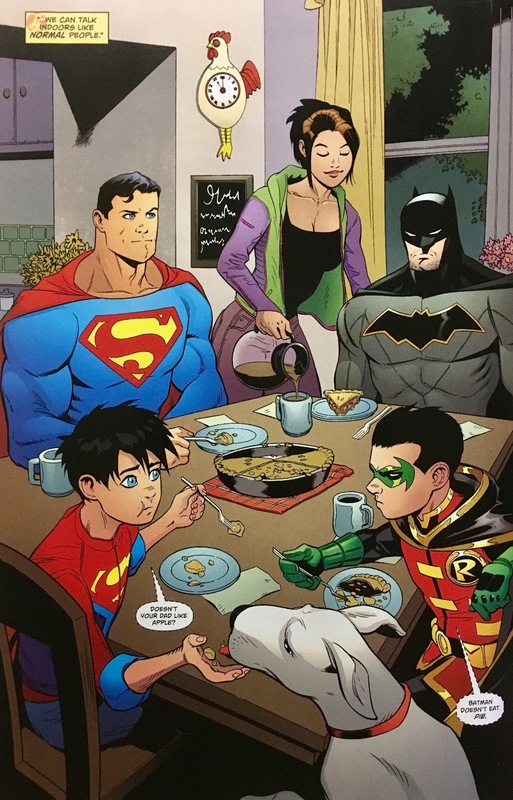 Inside we have some apple pie hijinks, while Batman grills Superman about Jon's burgeoning powers. Ya see, the way Batman sees it, Jon should be exhibiting powers that should even dwarf Clark's by now... and yet, no dice. 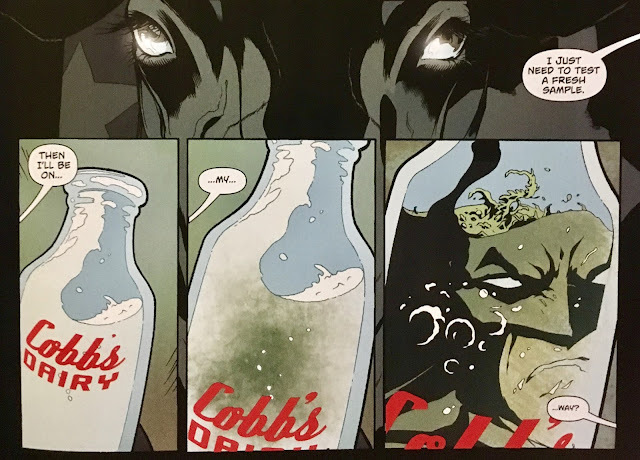 Batman considers that their might be some "environmental" cause to Jon's stunted powers, and so he starts looking through the Kent fridge. Lois thinks this is silly, and starts rattling off all the organic goodies they have... including fresh milk from Cobb Dairy's prize-winning cow, Bessie. 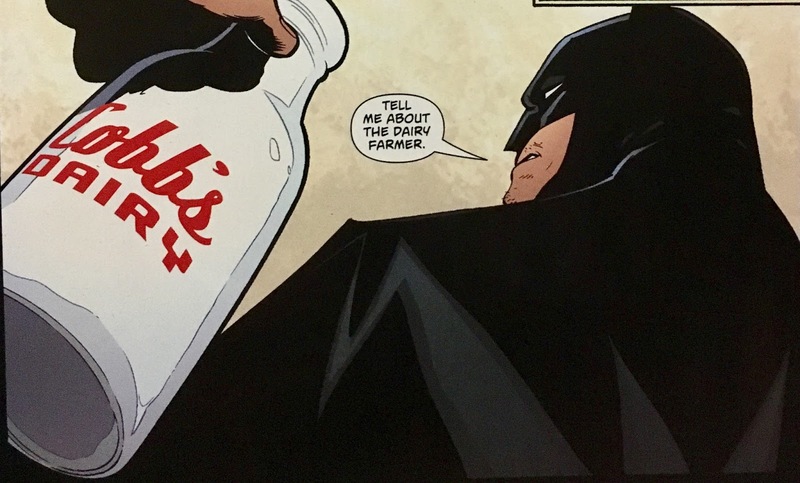 This causes Batman's ears to perk up just a bit. And so, later that night... Batman decides to pay ol' Bessie a visit. He procures a sample of the cow-juice and swishes it around a bottle... where it darkens... and gets scaly. The milk then busts through the bottle and attaches to Batman... as he lay coated in viscous goop, a man enters... hopeful that they've caught themselves another "troublemaker". Not gonna lie, just seeing that "the Whites" and "the Smiths" are in the rear-view makes me pretty giddy. Seeing the Kent name used just makes things feel "right". Hard to believe that we're just under a year in the Rebirth landscape... and Lois and Clark have finally gotten their names (and perhaps lives) back. 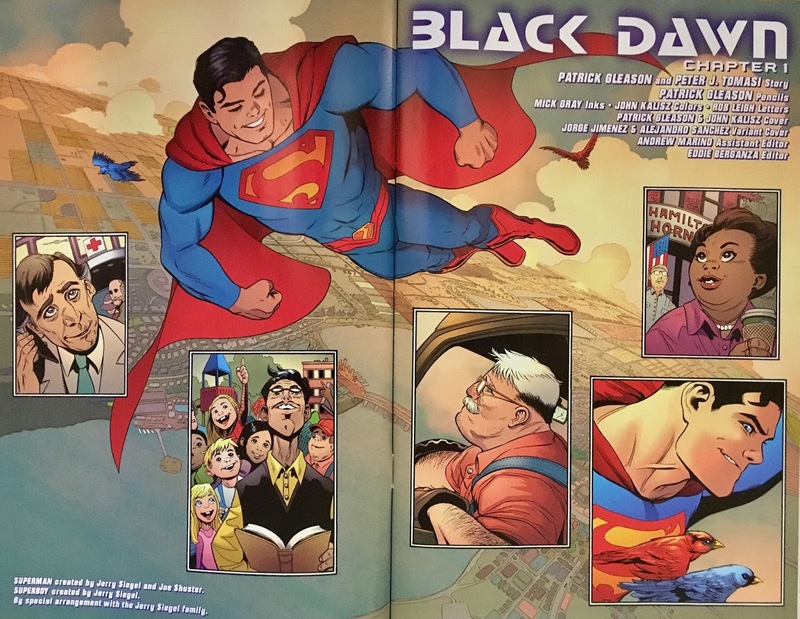 Not sure if Clark will return to the Daily Planet just yet... but, it's gotta be on the horizon, right? 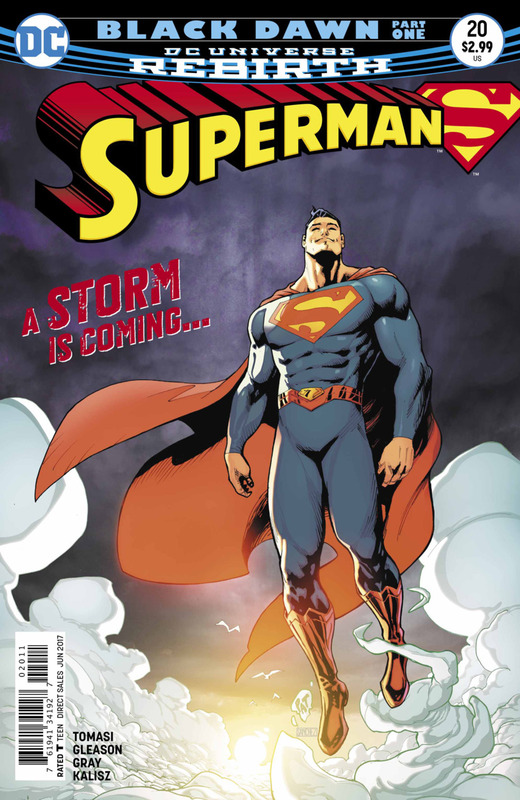 Now, overall I dug this... but I gotta say it again... can we please have a Superman story soon? So far every story has been centered on Jon. That isn't to say that I don't like Jon... I do! I think he's a great addition to the Superman mythos... but c'mon, I just want to see Superman being Superman for a little while. 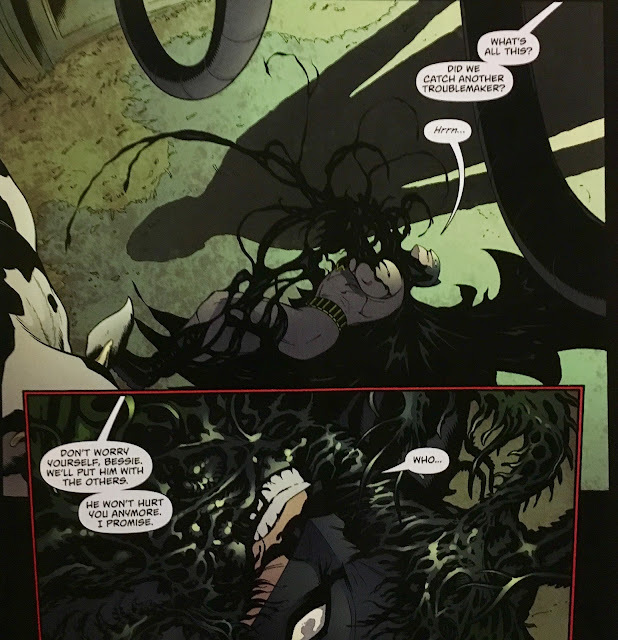 While I'm complaining... Batman's shown his face in this book a bit too often for my tastes as well. 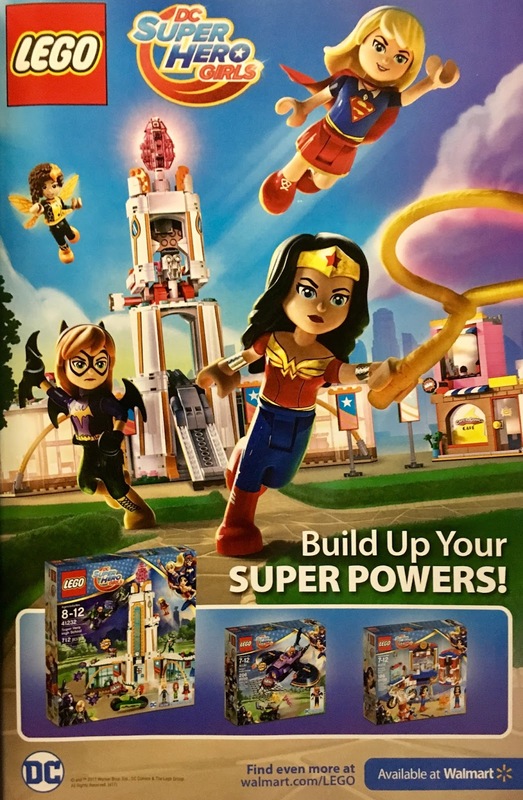 I mean, there is a Batman and Superman (and Wonder Woman) team-up book coming out monthly... guest appearances are just redundant at this point. 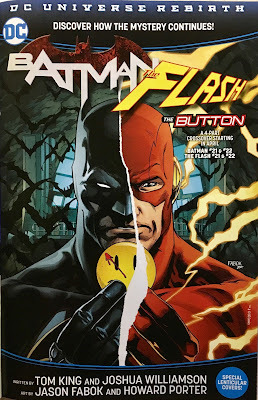 The art here continues to be top-notch, and I was happy to see Gleason actually get top billing... at least on the credits page, if not the cover. Batman not eating pie was pretty funny... especially how he sat there with this grumpy face while Lois poured his coffee. 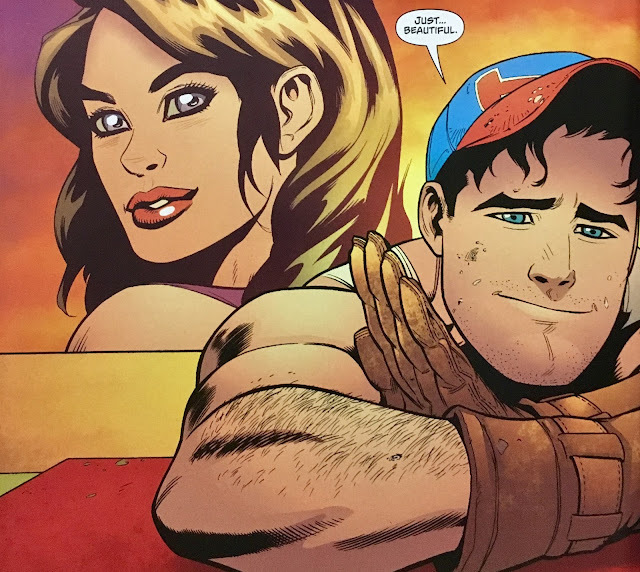 I am a bit surprised that we didn't get any double-takes from him regarding this Clark now kinda being his Clark... Like, Batman's not usually written to just "accept" things. Not sure if this paragraph makes any sense... it might just be me trying to wrap my head around our new sorta-kinda composite Man of Steel. Like, did New-52! 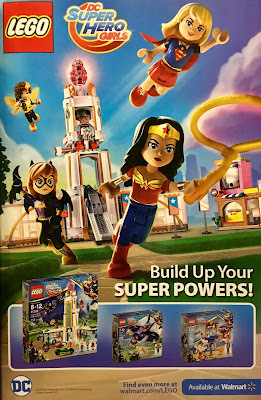 Superman die? I dunno. It might be completely clear, and I'm just a bit dense. I like the angle this story is taking... the idea that the Kent's neighbors might not be what they seem is the kinda story beat I'm always gonna dig. That element of paranoia... injected into the comfort of one's own home is one of those universal fears that might just provoke a visceral reaction in many readers. 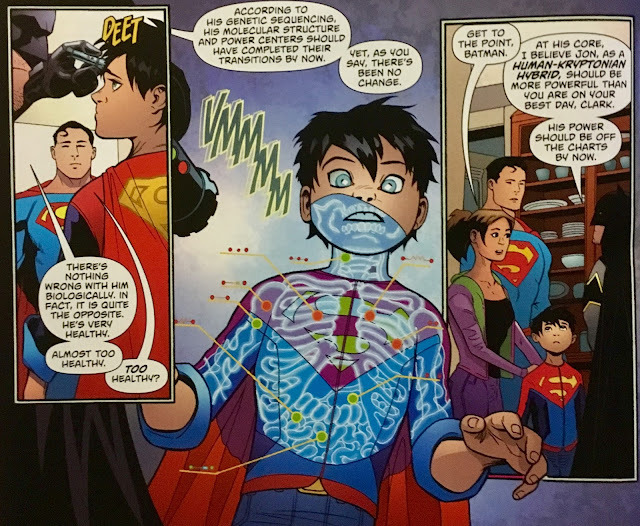 Overall, minor gripes about Superman being a bit-player in his own book aside, I quite enjoyed this. 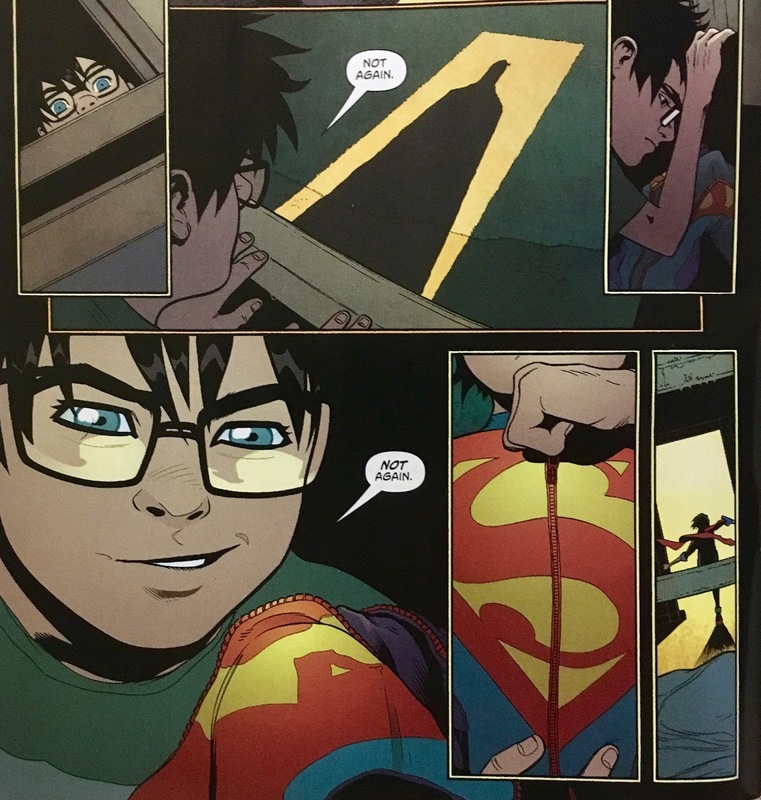 I'd say this serves as a pretty good jumping on point... the Kents are the Kents, and they've always been the Kents is all you really need to know. 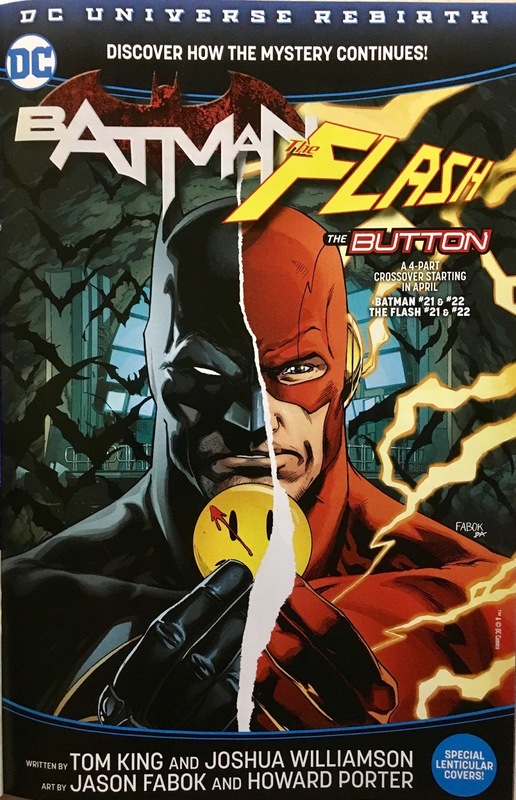 Definitely worth picking up if you aren't already!